Home Pets Halloween Ready: These Pets Have The Best Costumes! These winning costumes deserve ALL THE TREATS at Halloween. Halloween’s round the corner – it’s time to stuff yourself with candy, and admire all the awesome Halloween costumes out there! 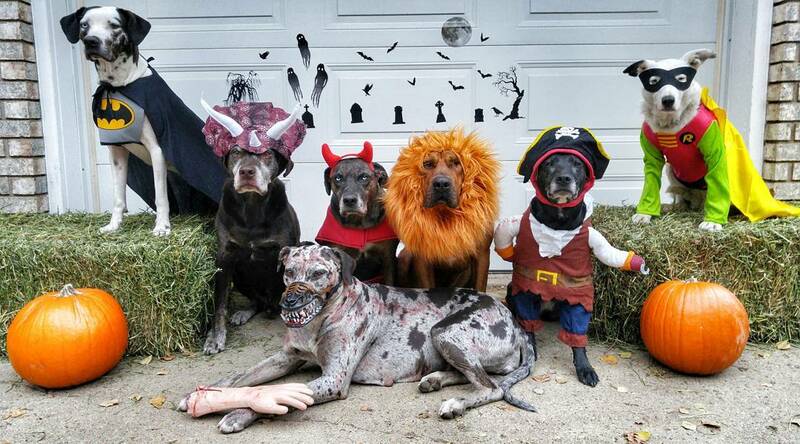 When it comes to a frighteningly-good time, these pets sure know how to get the costume party started! 1Power. Grace. Wisdom. It’s Wonder Woman! This courageous feline is ready to save the world this Halloween. The cutest heroes of Gotham City! 3It’s a bird, it’s a plane, it’s SUPERHORSE! Justice is galloping to a Halloween party near you. Where’s the third one… OH MY GOODNESS! 5BFFs = Burgers & Fries Forever. They’re killin’ it, and we’re lovin’ it. A Halloween classic – the Tacocat. It’s a Hallo-wiener tradition that never gets old. 8Hear me roar! … slowly. This little dino will probably need to start trick-or-treating at 7AM if he wants to cover all the houses in his street. Now this is one punkin you ain’t chunkin. Show me th’ booty o’ sweets! Aah! This pupper did me a frighten! We don’t have a bone to pick with this adorable skeleton costume! … until you sssssurrender all your ssssssweetsss! This pooch’s Halloween costume is the bee’s knees. I’m here to deliver a parcel of cuteness overload this Halloween. Would you sell your soul to this little darling? Love this post? We’ve got more cute posts lined up in our Pets category! Next articleSleepy Dogs Demonstrate the Art of Naptime.